Prairie voles, which form monogamous bonds for life, are often studied as a source of information about social attachment. New findings indicate that these mating choices are regulated by epigenetics. Epigenetics refers to changes in genes that do not affect the inherited sequence of DNA, but affect how easily the DNA is transcribed to produce proteins. Environmental events such as stress or exposure to chemicals can bring about epigenetic changes by adding or subtracting acetyl or methyl groups from strands of DNA or the histones around which it is wound. When prairie voles mate naturally, levels of oxytocin, often thought of as the “bonding hormone,” increase in the reward area of the brain, the nucleus accumbens. When voles are given a drug that increases histone acetylation, their behavior mimics natural partner preference. The drug, known as a histone deacetylase (HDAC) inhibitor, blocks the removal of acetyl groups, and researchers Wang et al. reported in the journal Nature Neuroscience in 2013 that oxytocin levels increase in the nucleus accumbens. 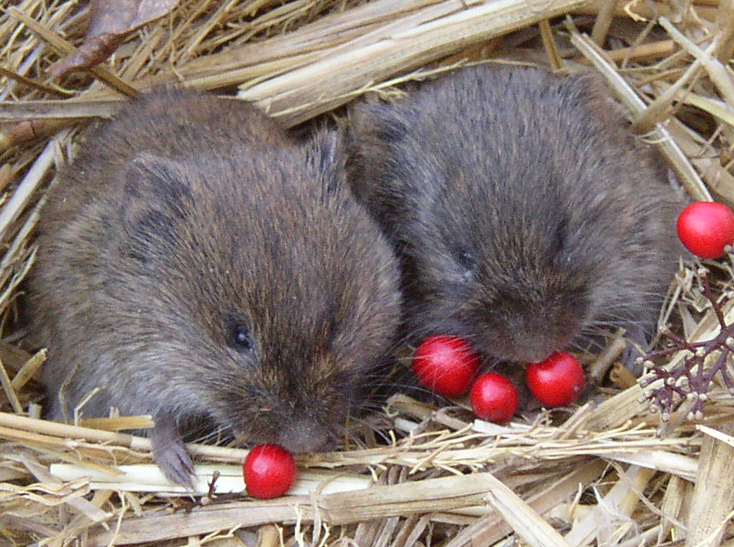 The voles receive the drug and mate for life, suggesting that social bonding is epigenetically regulated. Similar epigenetic alterations may play a role in human social bonding and vulnerability to depression. Depressed mothers and their offspring have low levels of oxytocin in their blood, and maternal depression is a risk factor for depression in the offspring, as reported by Apter-Levy et al. in the American Journal of Psychiatry in 2013. Editor’s Note: Perhaps depressed moms who show reduced physical and verbal interactions with their newborns should receive special training in holding, cuddling, cooing, and other social bonding activities that could increase their infants’ oxytocin levels and potentially also decrease their own anxiety and depression.